Chiller Buyers Guide – Legacy Chiller Systems, Inc.
After competing in the HVACR equipment market for over three decades, we have learned a lot and we want to share what we have learned with you. Regardless of your experience we have structured this Buyer’s Guide to provide easy to understand facts that should be considered when making your next investment in a fluid process chiller. 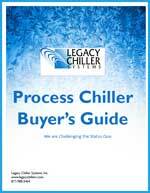 Use the form at the bottom of this page to download our Process Chiller Buyer’s Guide. Potential Markets for Process Chillers: Outlines eight potential markets we consider to be in high demand for process chillers. Process Chiller Duty Cycle: covers the two major classifications (or duty cycles) that describe how a process chiller is used. Air-Cooled and Water-Cooled Chillers: explains the differences between air-cooled chiller and water-cooled chillers. Common Process Cooling Configurations: explains the differences between “once-through” and “recirculation” cooling configurations. The Dark Side of Chiller Manufacturing – What Chiller Manufacturers Don’t Tell You: details concerning trends in the world of chiller manufacturing that may leave you with a sub-standard product. Features Matter: Identifies key process chiller features known to increase the overall reliability and extend life cycle. 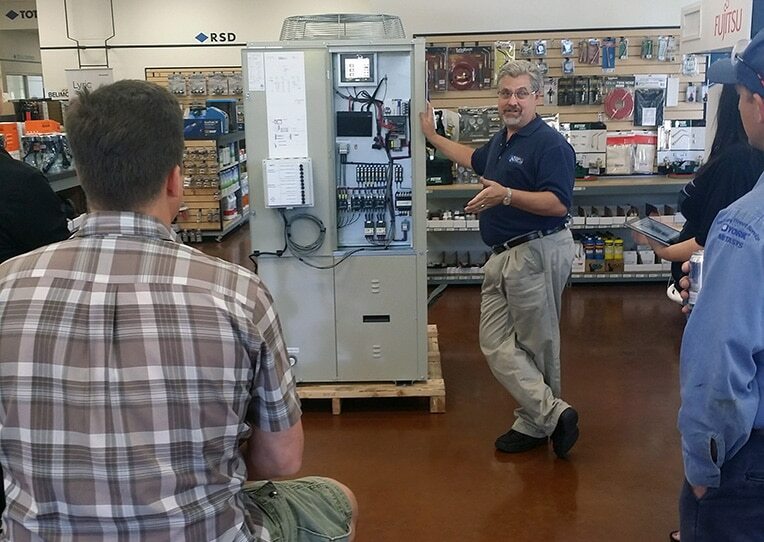 Controls Matter: Details key microprocessor control features required by modern process chillers.